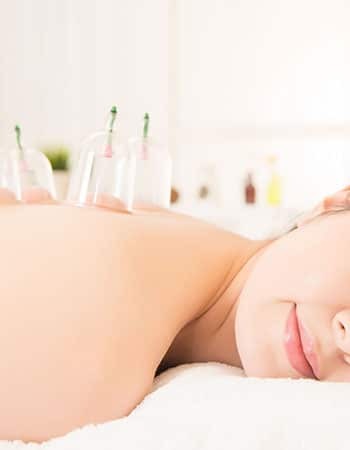 Dry cupping uses negative pressure to create a suctioning effect that causes a local inflammatory response in the tissue that sends the body signals to stimulate the natural healing process to a localized area. The most common side effect of cupping is the red circle left on skin when the cups are removed. You may experience some slight discomfort during the process, but your therapist can adjust accordingly. You may return to full activity immediately after. Cupping was brought to national attention during the 2016 Summer Olympics by swimmer Michael Phelps, “the most decorated Olympian of all time”, who had tennis ball sized red circles on his shoulders and back as a result of cupping therapy.